Uke grabs tor?s wrists. 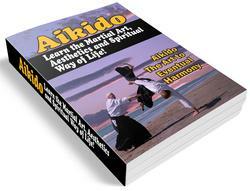 Tori raises both arms in aiki-age and then suddenly thrusts them apart, forcing uke's head down. 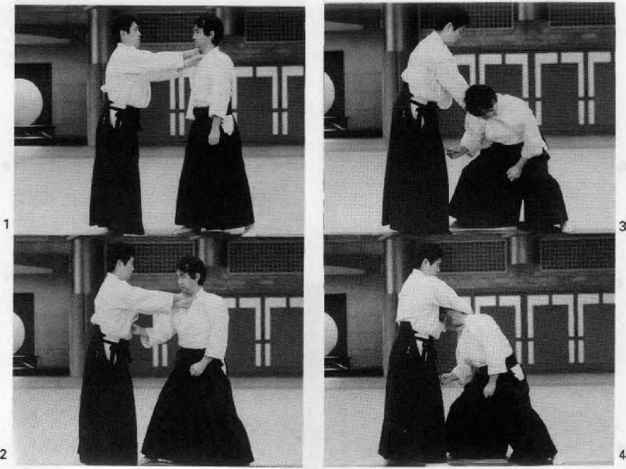 Tori then pins uke's head between his knees and pulls uke's arms up to effect the pin. 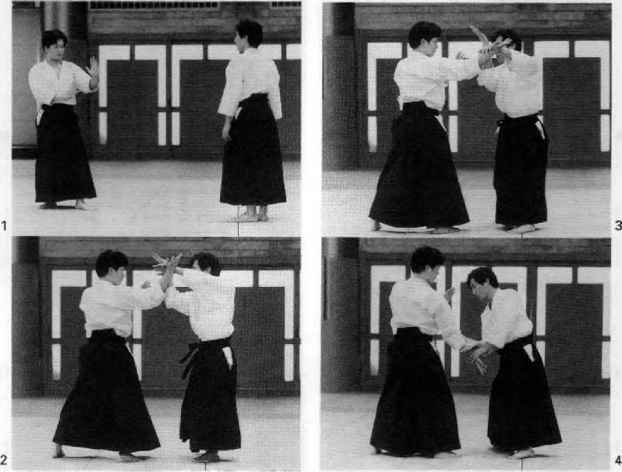 Uke grabs fen's left wrist with his right hand. 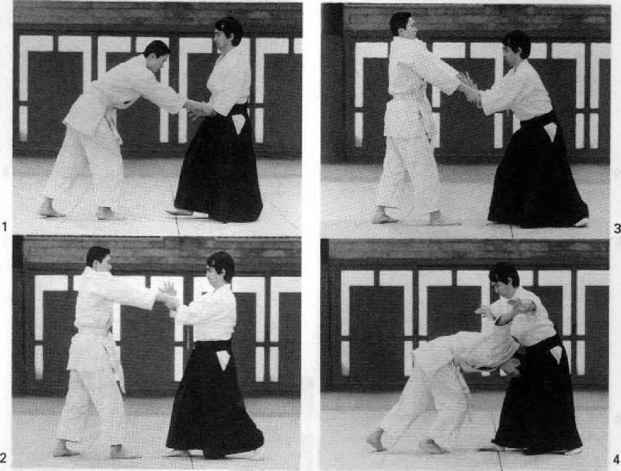 Uke applies a nika-jo lock to uke's right hand. 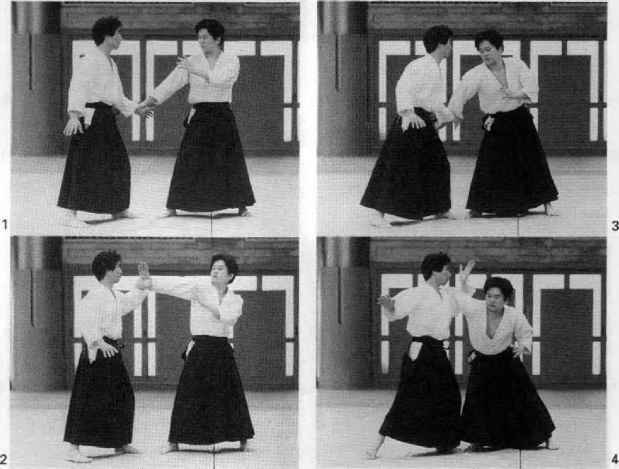 When uke loosens his grip on torts right wrist, tori pulls tike's right hand downward while also twisting it outward. 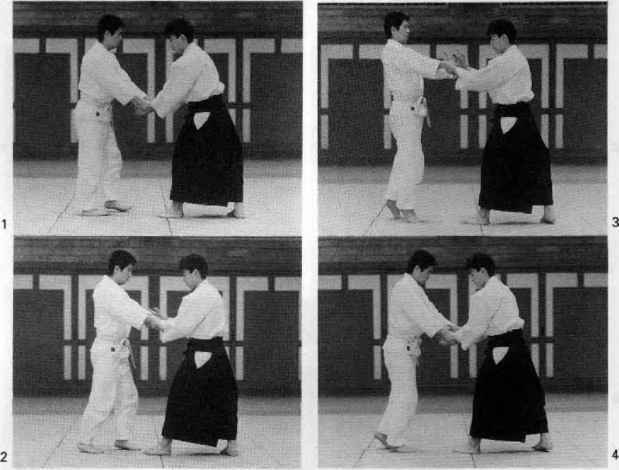 Tori places his left arm under uke's right shoulder and uke's right arm over his own left hand, then applies a nika-jo lock. 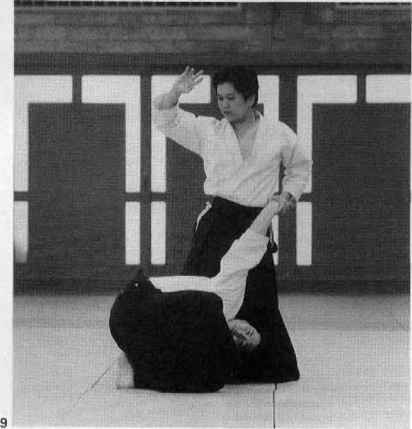 Tori then presses his right leg against tike's head. He catches uke's right hand with his own right hand. 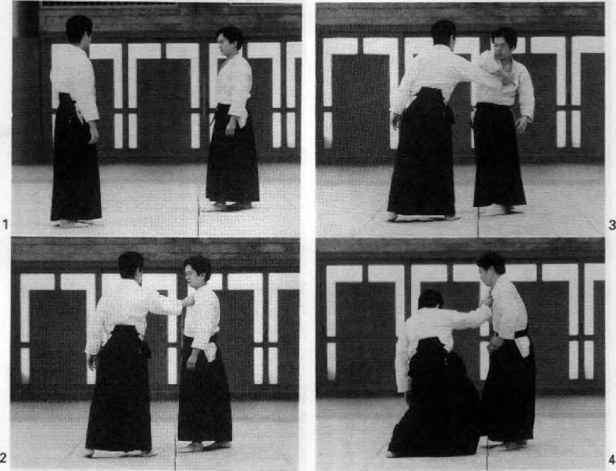 Tori stands in front of uke, facing in the same direction, and reaches behind him to catch up uke's arms in the crooks of his own arms, and draws uke's arms forward to effect the pin. Uke grabs tori's wrists. 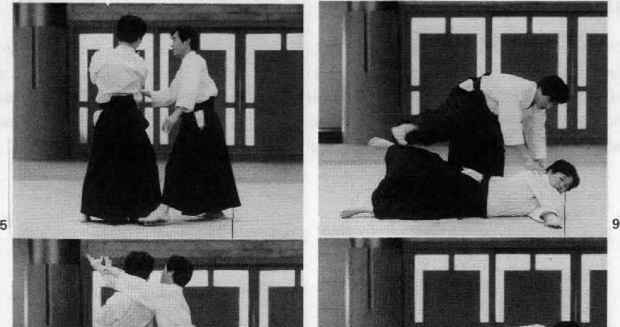 Tori raises both arms in aiki-age, then suddenly first spreads his arms wide and cuts downward with them, forcing uke s head all the way to the ground. Tori grabs both of uke's palms and pulls back. To complete the pin, tori swings his right leg around uke's arms and sits down on uke s back. 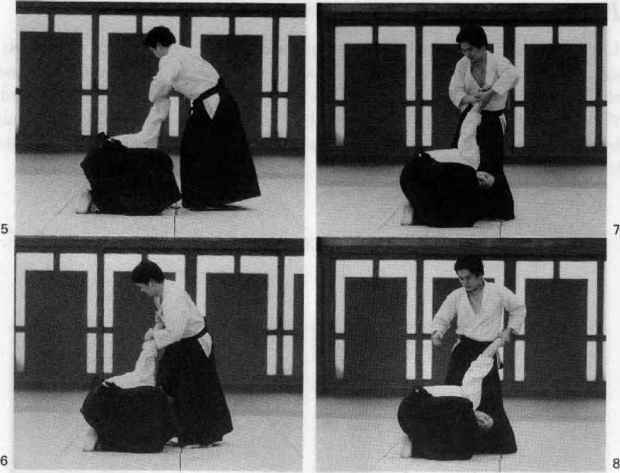 Uke delivers a yokomen strike to fort's neck. 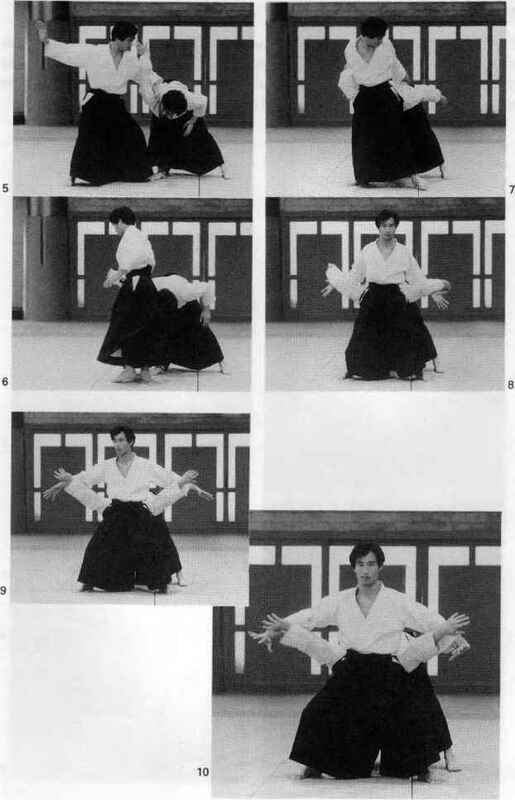 Tori slides in with his front foot and absorbs ukes attack with his left hand-sword, then cuts down with his right handsword, taking hold of uke s right wrist. 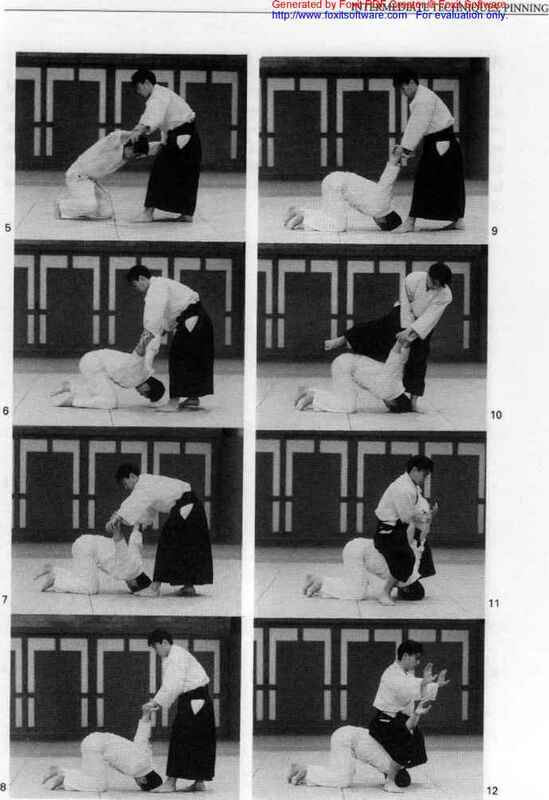 Tori steps in front of uke with his right leg, wraps «fee's right arm around uke's neck, and with his left hand grabs uke"s wrist to create a choke hold. Next, tori twists his hips, bringing uke to the ground. 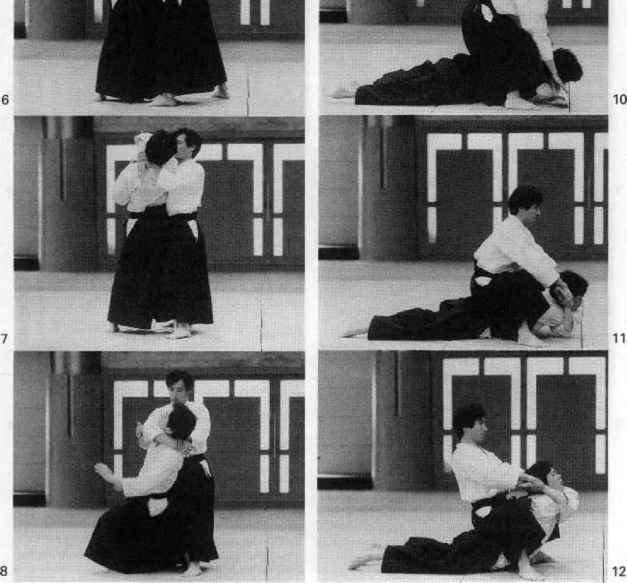 Tori then turns uke facedown, wraps uke's arms around uke's neck, and pulls backward to complete the pin.